Iokwe from the Marshall Islands - one of Micronesia's newest and most unique destinations! The Marshalls are made up entirely of slender, green and blue coral atolls- evolutionary remnants of the more commonly known and visited high volcanic islands. 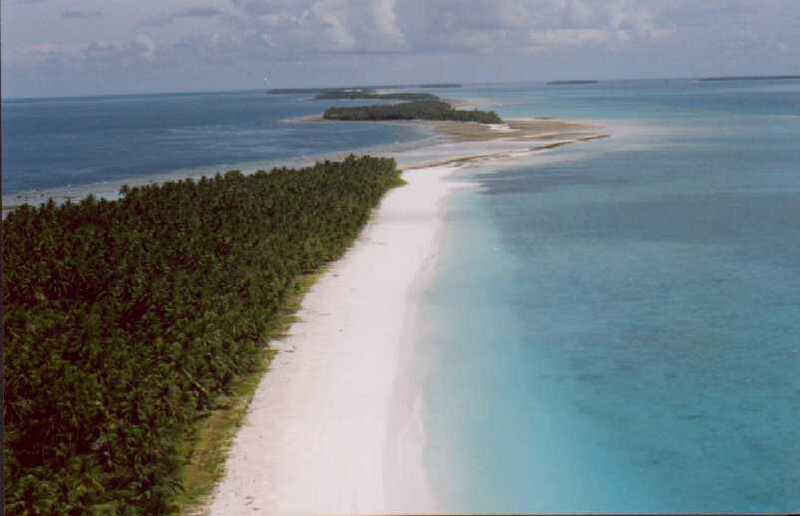 These atolls are grouped into two vast parallel chains called the Ratak (sunrise chain) and Ralik (sunset chain). Within them, you will find 1,225 islands, 870 reef systems, 800 fish species, and 160 coral species. Visitors to the Marshalls will find an array of interesting attractions and activities. With an abundance of reef systems, lagoons, and fish species, both in-shore and deep-sea fishing in the Marshalls are absolutely unbeatable. From bonefish to blue marlin, and from reef-flat flyfishing to deep-sea trolling, you are guaranteed to hook up! Wreck diving here is superb. It's a little known fact that the Marshalls possess the most significant collection of WWII wrecks on the planet, including the USS Saratoga (the only diveable aircraft carrier in the world - it's even bigger than the Titanic! ); the Nagato (the Japanese flagship which led the attack on Pearl Harbor); the Prinz Eugen (a heavy cruiser launched by Adolf Hitler himself); and dozens more. Diving excursions can be arranged on Majuro, Kwajalein, Arno, Mili, and on the newly opened Bikini Atoll Dive Resort, the first full-scale diving resort in the country. Atoll reef diving and snorkeling in the Marshalls are excellent, with hard and soft corals, reef passes, walls, pelagic schools, and 100+ foot visibility. 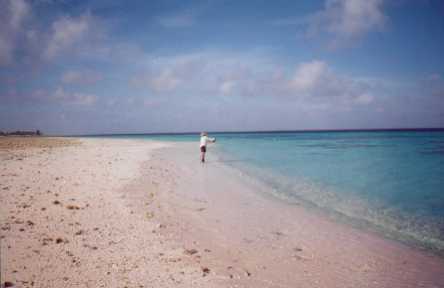 Above the water, visitors can tour several atolls which were formerly used as Japanese WWII bases. These virtual museums feature hundreds of relics and artifacts, including Japanese Zeros and other aircraft, coastal defense guns, anti-aircraft guns, air raid shelters, pillboxes and more. 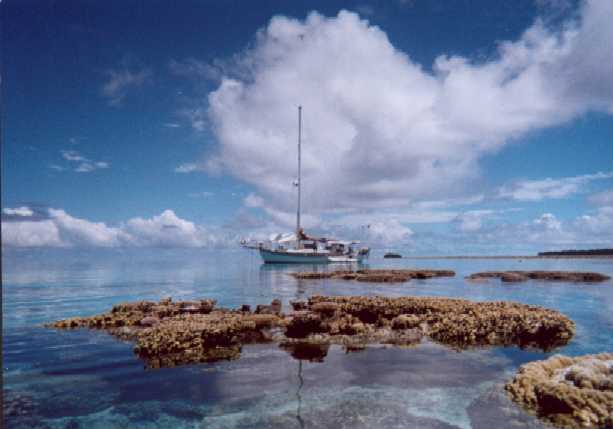 Aside from the high-adrenaline activities of sportsfishing, wreck diving, and WWII trekking, visitors can simply relax on one of our many isolated coral atoll islets. Enjoy an island all to yourself! If your into souvenirs, our numerous handicraft shops also offer some excellent buys. Marshallese crafts are renown in the Pacific for their fine quality and unique design. Marshall Islands Visitors Authority (MIVA) at email: tourism@ntamar.com. Be among the first to explore one of Micronesia's newest and most unique destinations- the beautiful atolls of the Marshalls!